Chandigarh : The Sports Minister, Punjab, Rana Gurmit Singh Sodhi has congratulated athlete Arpinder Singh for his Bronze medal winning performance in the triple jump event of the IAAF Continental Cup at Ostrava in Czech Republic. It is worth mentioning that Arpinder Singh is the first Indian athlete ever to bag a medal in his kitty in any event in the history of the International Association of Athletics Federation (IAAF) Continental Cup. 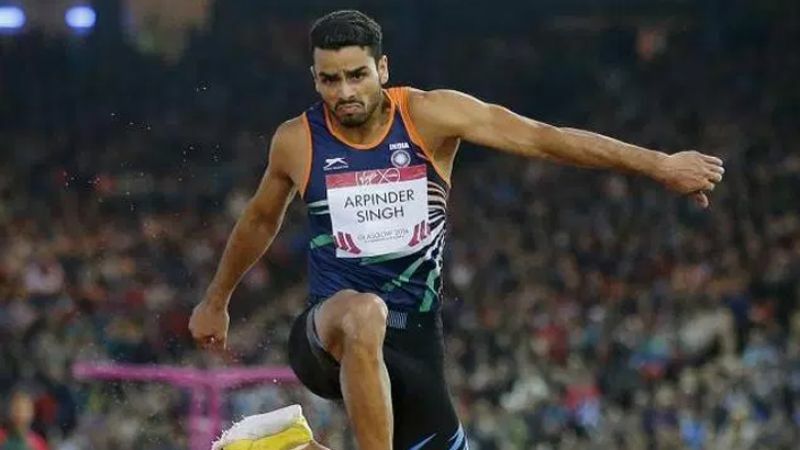 Arpinder SinghRana Sodhi also said that Arpinder had earlier brought laurels to the country by winning the Gold medal at the recently concluded Asian Games in Jakarta (Indonesia) and now again brought glory to the nation by winning bronze at IAAF Continental Cup. The minister while extending congratulations also to the parents and coach Mr. Sukhdev Singh Pannu credited them with the stupendous achievement. It is also worth noting that Arpinder, a resident of village Harsha Chhina in Amritsar, had won a bronze in the 2014 Glasgow Commonwealth Games.